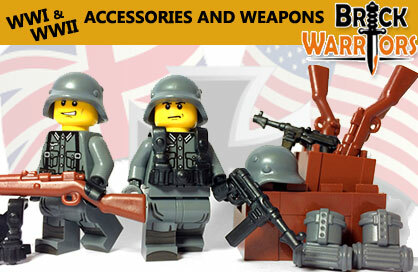 LEGO Minifigures, parts and lots of custom accessories only on BRICKSHOP.it! 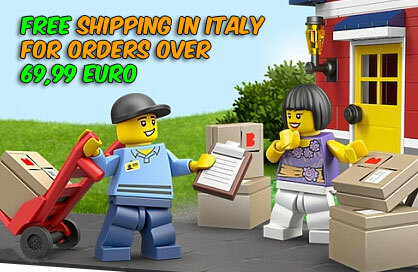 Our site is dedicated and specialized in the sale of loose parts, LEGO minifigures and special custom parts. Our wide selection will give you the opportunity to dive in the vast LEGO world and you can buy with ease the your favorite games! With thousands of different lego parts available, we give you the opportunity to create your own custom built or collect many different lego minifigures! We are also always looking for special customized accessories to be integrated in our catalog, and our task is to fulfill your every desire! With BRICKSHOP your passion will have no limits! On BRICKSHOP.it dream come true! How many times have you lost a parts and did not know where to find it or buy it, or you have always wanted to have a single minifigura, rather than a whole set! No problem, we`ve taken care of this BRICKSHOP! It will be easy now to search any article, our research is facilitated by the inclusion of the Element ID that you can easily recover at the end of each statement LEGO original! All articles that we have also created categories more streamlined and user-friendly so that you can navigate with ease searching for your favorite items. In order not to miss out on everything you can stay updated on what we do and we put at your disposal by signing up to our newsletter, or you can follow us on facebook! We look forward to sharing with you the passion for isieme bricks most loved in the world!